Just my nephew for Halloween. 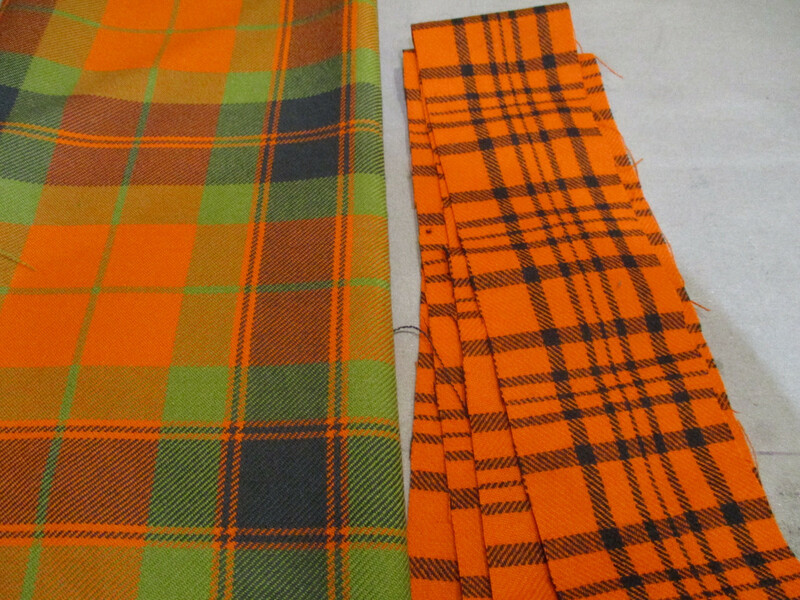 And if it had been made from one of these two pumpkin colored Tartans - wow. Eat your heart out Mel Gibson. On the Left is the 78th Fraser Highlanders and on the right Princeton University. The Fraser Highlanders is a really nice tartan. As an aside; Mel Gibson is a member of Clan Buchanan and wore a kilt in the Buchanan Hunting Modern when he was married. AAAArrrgh my eyes my eyes! !